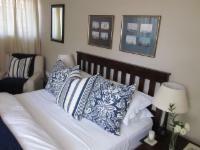 The guest house has five rooms, with traditional country décor, which all feature en-suite bathrooms, DStv, Wi-Fi Internet access and two rooms have balconies. The castle also offers guests a large garden with a swimming pool, a maze, an indoor fireplace, braai facilities and parking on the premises. Breakfast is served between 09:00am to 10:00am. 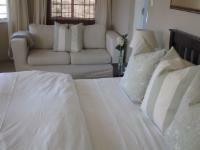 The castle is located in tranquil Chartwell West, yet close to the main roads, the Four-Ways Mall, the Broadacres Garden Centre, Cedar Square, Monte Casino, The Lion Park, Lanseria Airport and the brand new Four-Ways Hospital. Wedding Venues: There are beautiful tranquil surroundings ideal for an outdoor wedding. Chartwell Castle and Guest House can accommodate up to 300 guests outdoors and 250 guests indoors. 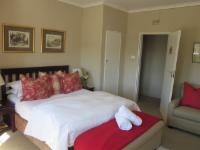 Please contact the guest house to discuss your specific requirements. 50% deposit to be paid within 48 hours of booking if booking is made more than 7 days in advance. If booking is for same day 100% of booking fee is to be paid before or on arrival. Lovely stay in a quite tranquil setting with friendly staff. Our second stay at Chartwell Castle. A peaceful relaxing enviroment. Yet only minutes away from shops and restaurants. Nice atmosphere, reminds you of a castle. Enjoyed our stay, and would go back again. Breakfast was expensive for what we had and could do to be improved or the cost reduced.Establishment Response: Dear Diane, Thank you for your rating and your suggestions. We will review our breakfast rate and menu. We are glad you enjoyed your stay here and hope to see you again. 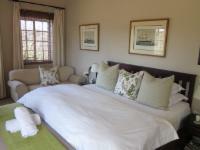 Beautiful premesis, cosy rooms, wonderful accommodating staff. We stayed in the Clarence suite. It was huge and very comfortable. The early morning sounds of the birds were the best we ever experienced. Breakfast was nice. The staff and manager friendly and competent. Overall we had a great experience sleeping in a Castle and will definitely visit again. Chartwell Castle and Guest House is 20.6km from the centre of Johannesburg , the nearest airport 6.8km (Lanseria International Airport).